While working on an ASP.NET MVC application I encountered the following error. It clearly says that some connection string is missing in the configuration file. Even though connection is present in the project which is dealing with the database, error is thrown. The reason behind this is, the MVC project is a startup project and the infrastructure project is not a startup project. We need to have connection string in the configuration file of the startup project. 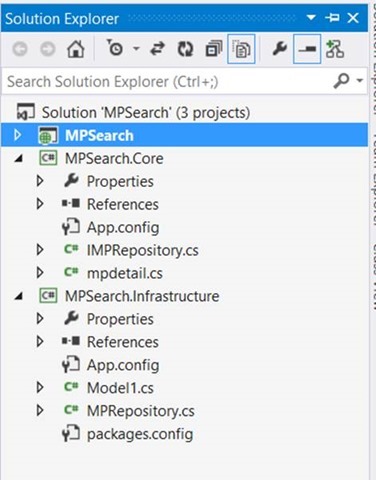 In this case startup project is MVC project, so to solve this error we need to copy IndiaMP connection string to Web.config of MVC project. After doing that you should not get the above error. Solution: Copy connection string to configuration file of startup project.